The perfect tea and coffee maker! Our new EZ Brew Tea & Coffee Maker brews the perfect cup every time! 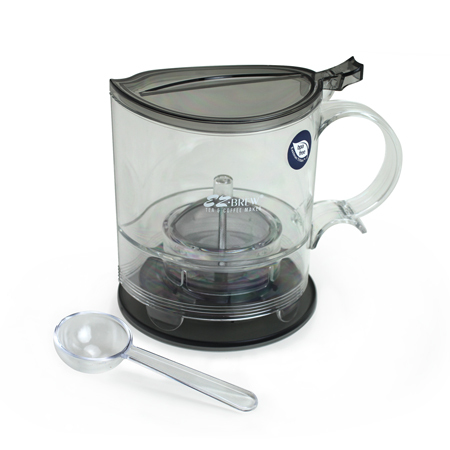 It is a simple, clean and efficient way to steep tea or brew coffee. Our EZ Brew is patented World Wide and its drain mechanism will strain the perfect cup while leaving all the tea leaves or coffee grounds in the EZ Brew. It will brew 16oz (2 cups) of tea or coffee and fits cups up to a 3.75-inch diameter. It is made of BPA free material. It also comes with a coaster & a teaspoon. 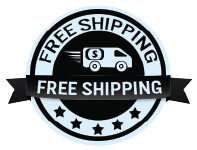 We want to give you the best product with everything you need, in every box. The teaspoon will allow a perfect amount to be added every time. This gravity pot is perfect for both a smaller & larger cup. With the diameter of the mechanism 3 /12 inches it works well for an american size mug. It feels sturdy in the hands. I like the lid being a leaf shape. Because it comes with a coaster & a scoop, it makes a nice selling feature in my retail store. We also use these for customers who stay inside to drink their tea & they love how it works. These work great, customers love them -packaging is professional.